We live in a world that’s run by tech gadgets. Whether it be a smartphone, a fitness tracker, or smart speakers, most people have grown increasingly dependent upon technology in everyday life. Electronics have virtually become a physical extension of the human body. While many of our devices promise health and lifestyle benefits, they can also have the opposite effect. Eye strain from too much screen time can cause fatigue, irritation and blurred vision. And doctors say a sedentary lifestyle, exacerbated by our reliance on electronics, can be harmful to long-term health, making you more susceptible to chronic diseases. On the other hand, smart technology, when used wisely, can help you hack the aging process and boost your well-being over time. When it comes to finding a happy balance for using technology, moderation is key — you need to learn how to regain control of your devices and your time. Technology can be of assistance if you’re in the market to shed a few pounds or simply adhere to a healthier diet, although it can’t do the hard part for you. Research suggests that people who have more body fat, especially around the belly, may have a higher risk of dying earlier than others. Smart scales may be a helpful tool in fighting this problem. The devices sync to apps to track your weight and BMI (body mass index), a measure which is used to determine whether a person is a healthy weight, overweight or obese. Fitness apps and devices also promise to help you improve your health by monitoring your heart rate, counting your steps, recording your daily activity levels, keeping tabs on your diet and tracking the quality of sleep you get each night. Some apps even offer up some extra motivation in the form of points or prizes if you meet your goals. Wearable fitness trackers, such as smart watches and Fitbits, encourage wearers with reminders to complete tasks like working out, drinking adequate amounts of water, and moving around after sitting for extended periods of time. 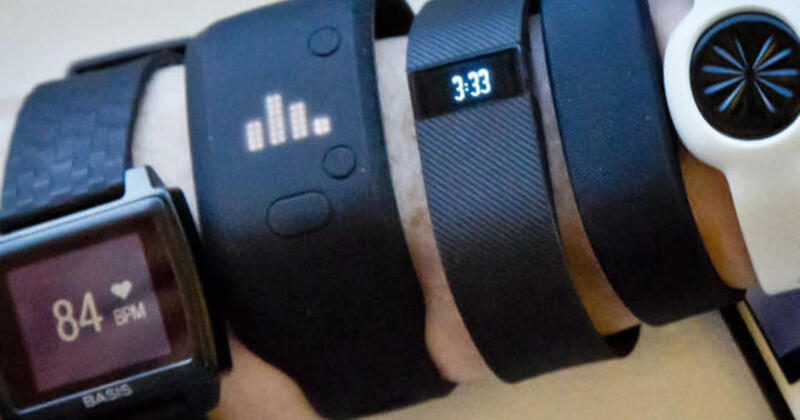 Research shows that many people who wear these devices see a positive change in their well-being, although they’re not necessarily the answer for helping people lose weight. And of course, some users fall into the same trap as those who make a New Year resolution to work out more, only to give up on the gym by February — they actively use the tracker for a certain period of time, and then eventually abandon the device. Technology can also be used when you’re not awake. Sleep trackers measure heart rate and restfulness, and determine the quality of rest. Using a tracker can potentially help to alleviate a sleep-related condition or prevent one from arising. That’s important because getting the recommended amount of sleep — 7 to 9 hours a night for most adults — affects how the human body functions in many ways. Lack of shuteye raises your risk for a variety of mental and physical woes such as depression, obesity and diabetes. Researchers are also investigating possible links between lack of sleep and the eventual risk of developing Alzheimer’s disease. Thompson warns there is a downside to relying too much on electronic devices.